The new e-Spinner 3 is the smallest, lightest and most versatile electronic spinner ever. Take it with you, wherever you go. •Quick and easy bobbin change with snap-in flyer bearing. 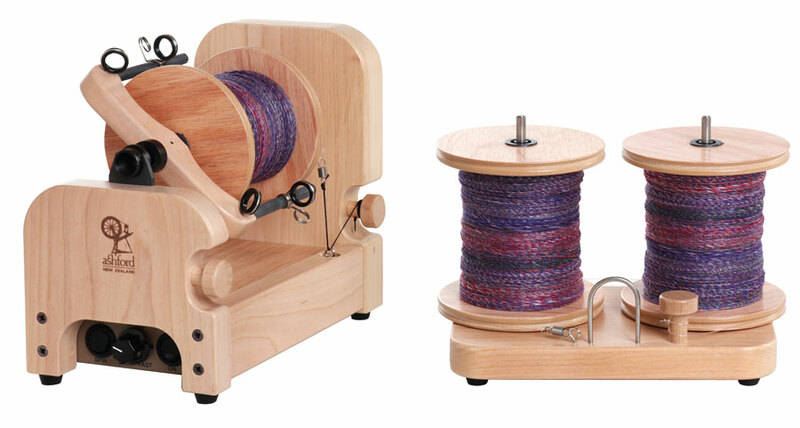 •Convenient spinning and plying with a sliding hook flyer, frictionless yarn guides, 15mm (5/8in) orifice and reducer bush. •The e-Spinner 3 has a quiet but powerful 12 volt DC 2.0 amp 70 watt motor with soft start and infinitely variable speed from 0-1800 rpm. •The optional 12 volt car cord enables you to use it in your car, caravan, RV, or boat with a battery pack.